Exciting news for NW Cape Coral and all of Cape Coral!!! Cape Coral Pine Island Road Project will turn the 2 mile road between Chiquita Boulevard and Burnt Store Road into a four-lane highway. Included in the expansion will be a four foot paved bike lane, stormwater ponds, and roadside swales. A 46-foot grass median which will separate the east and westbound lanes. Construction started this summer and is estimated for completion Fall 2014. Cost is estimated at $8.1 Million. The Florida Department of Transportation’s contractor, Ajax Paving Industries of Florida is in charge of the project. 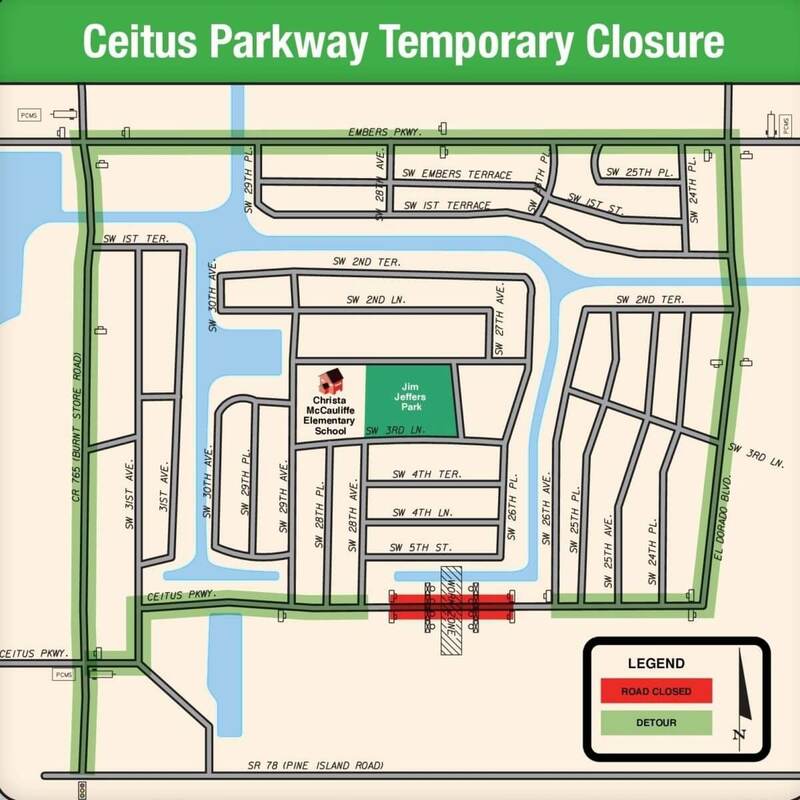 Please be aware that beginning Monday, September 23rd 2013 Ceitus Parkway will be closed between SW 28th Ave and SW 26the Ave for about two weeks. 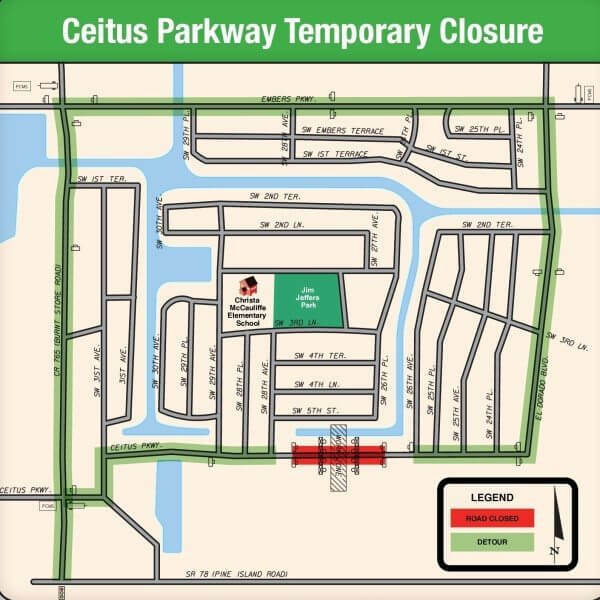 This temporary closure is needed to build a stormwater pond.